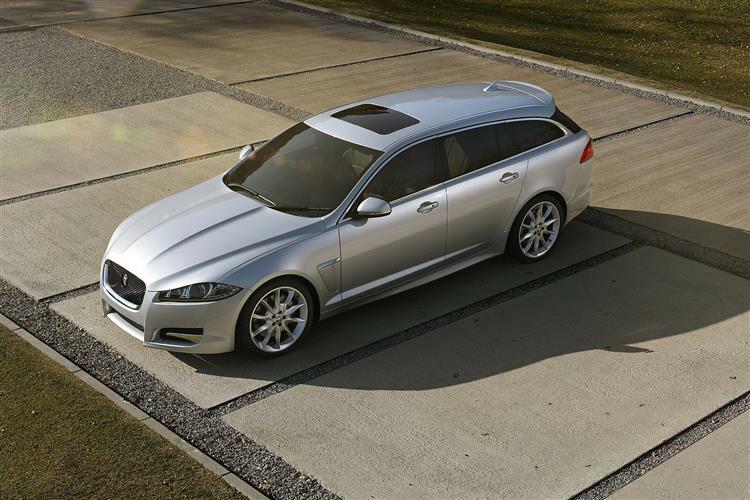 The XF Sportbrake is Jaguar's answer to the BMW 5-series, Audi A6 and Mercedes E-class estates. 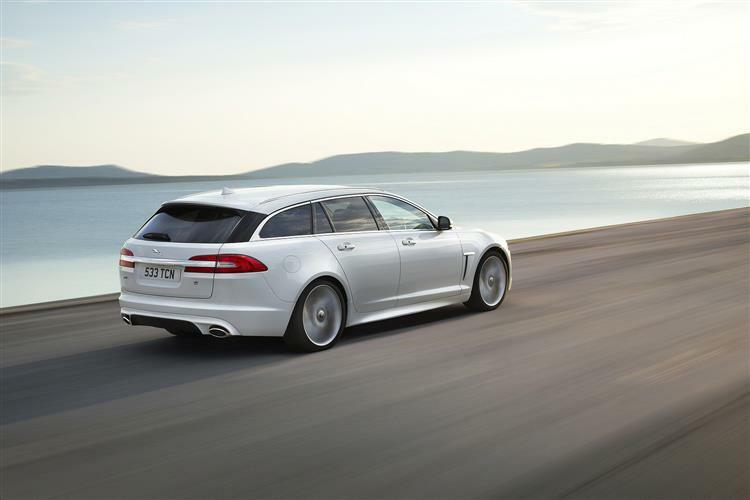 Introduced in 2012 with a range of powerful, yet efficient petrol and diesel engines, this stylish premium executive station wagon hoped to emulate the popularity of the brand's XF saloon, with an engaging ride, surefooted handling and competitive performance. Everything that made the saloon popular remains here. As a result, the quirky, stylish interior, impressive handling, comfortable ride and luxurious interior make the Sportbrake an interesting used car alternative to its tough German rivals. The Sportbrake also offers a strong engine line-up, with frugal diesel units at the bottom of the range and fire-spitting supercharged petrol V8s at the top. This means that this XF appeals to a wide audience. 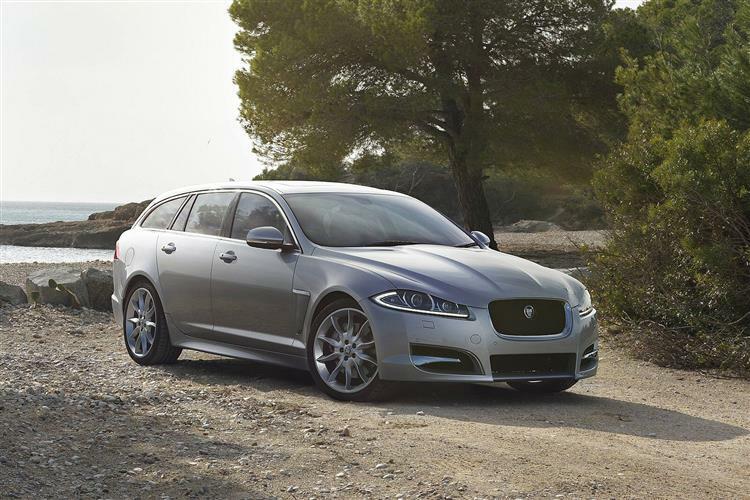 The XF saloon, released in 2007, marked a turning point in Jaguar's fortunes but it wasn't until a year after the brand facelifted this car in 2011 that it released the Sportbrake estate version we look at here. Just like the saloon, the estate XF prioritised sporty looks over outright space and even in basic spec, it looks fantastic. It may not be class-leading in terms of outright performance and the cabin is starting to look a little dated by comparison with some rivals, but the Sportbrake blends luxury, performance, handling, ride quality and efficiency like no other. It's definitely the driver's choice in the mid-size premium executive estate market. This Sportbrake design is entirely different from its saloon stablemate from the B-pillar backwards, the contrast between the two bodyshapes amplified by the tautly-drawn elegance of the side window line, the flowing rear window graphic and the rising waist. It all lends this car a dynamic, broad-shouldered stance, with a feeling of fluidity heightened by the use of gloss black finishers on the rear pillars and a darkly-tinted rear screen. This emphasises the so-called 'floating roof' and provides a wrap-around effect that's similar, Jaguar reckons, to the superstructures of luxury yachts. But when the optional powered tailgate glides up, will you find it to be practical as well as pretty? At first glance, there's reason to doubt. After all, the wheelbase of this car is just the same as that of the saloon and the 550-litre boot is pretty much the same too. To be fair, that's pretty comparable with the space you'd get in a BMW 5 Series Touring, an Audi A6 Avant or a Volvo V70. Only Mercedes' E-Class estate can offer appreciably more. Anyway, that figure only applies to the amount of space you get under the smart tonneau cover. Dispense with that with a view to loading up above the window line and there's plenty more room on offer, even before you think of operating the neat remote-fold levers that are positioned just inside the tailgate. Tug on these to collapse the 60/40 split-folding rear backrest and you'll find 1675-litres on offer and nearly two metres of total loading length. Thanks to the standard self-levelling air suspension, weightier objects can easily be carried too. As importantly, you can make good use of all this space if you find yourself a car fitted with optional loadspace rail attachments that keep everything in place. Other useful optional features you might find include things like a semi-rigid load tray, a waterproof loadspace liner and a luggage guard to stop animals and packages flying forward under braking. We should also point out that there's additional underfloor space to keep valuables away from prying eyes. And even neat recesses in the side trim, hidden behind mesh fronts that provide extra room and will enable awkward loads to be stowed securely across the width of the boot. So you'll be able to store your golfclub bag sideways for example. Criticisms? There aren't too many. It would be nice to have a compartment to store the tonneau cover in when you aren't using it. Oh and the folded loadfloor is slightly uneven. That's about it. Get to the consideration of people rather than packages and you'll find that the estate practicality continues. In creating this bodystyle, the development team took the opportunity of correcting perhaps the biggest design drawback of the saloon XF model - namely its restricted rear headroom. The Sportback's higher roofline makes it easier to get in to the back and once you're installed in beautifully trimmed leather, you'll find that there's another 48mm of headroom. As ever though, the prominent transmission tunnel means that there's only really comfortable room for two adults. At the wheel of course, this variant is identical to any other XF. So the auto gear selector still rises into the palm of your hand on start-up as the dashboard airvents acrobatically turn into position to greet you as you fire the ignition. Button clutter has been kept to a minimum by grouping many of the key functions on a central 7-inch touch screen - which to be honest, I don't find very intuitive to use. But what I do like is the sheer feeling of class you get in this cabin. From the stitched leather dashboard and door cappings to the aluminium and wood furnishings, it really does feel special, the craftsmanship, materials and attention to detail all good enough to exceed your expectations. Jaguar's designers have sought to find more interesting ways to say 'luxury', and largely, their efforts have worked. The lines are clean and pure, the materials are familiar, but with a very modern flavour - from soft-grained leathers to real wood veneers with a bold, contemporary spin. Even the phosphor blue interior lighting has its own mood. Although Jaguar won many awards with the XF and had very high customer satisfaction scores, there are a few known issues to look out for. One of the most serious is that some owners have reported the bonnet airbags being triggered by speed bumps and costing around £3,000 to replace. Owners of the V6 diesel are advised by Jaguar to steer clear of diesel with 20% or more bio content. However, some have reported issues including starting problems when running on diesel with 6% bio. The quick clear windscreens wiring can interfere with signals in the car between GPS and satellite. Another thing to consider is that in the 2014 Which? 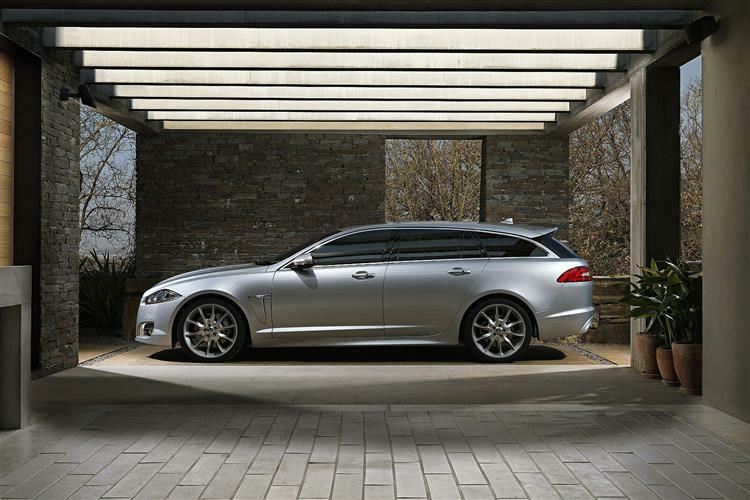 Car survey, the XF Sportbrake was the least reliable new luxury car with an 85.7% rating. Despite the numerous issues some owners have reported, the Sportbrake is likely to be a reliable and good value car. Residuals are better than rivals and though running costs might be a little higher thanks to slightly less efficient engines, the XF won't cost any more in the long run. 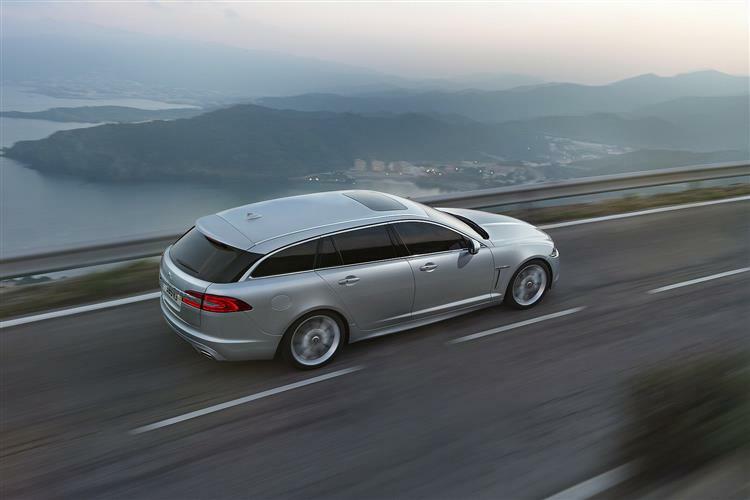 The price of replacement parts for the Sportbrake depends on the model chosen. The four-cylinder diesel cars will obviously have some cheaper parts than the XFR-S with its 5.0-litre supercharged V8. A pair of front brake discs and pads for a 2.2d Sportbrake will cost around £120 for the parts only. However, if you take advantage of Jaguar's 3+ fixed price servicing (for cars three years or older), the price including labour is just £295. 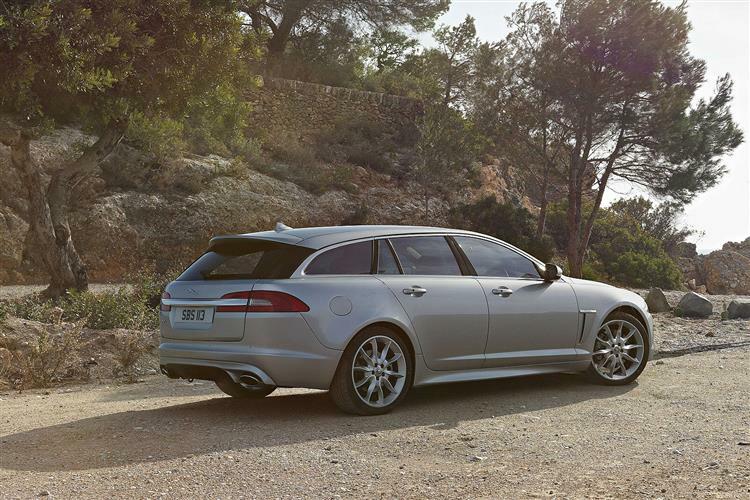 The Sportbrake bodystyle does bring with it a small weight penalty, but the suspension tweaks compensating for the increased weight and extra load carrying ability improve this XF's ride and make it smoother and more cosseting than the saloon. Performance like for like is only slighter slower and estate car buyers make these trade offs for the increased practicality. Over rough roads or smooth motorways, the ride remains composed and the balance of the front engine/rear drive layout is excellent, making the XF one of the most enjoyable drives in its segment. Jaguar's Adaptive Dynamics set-up is a system that monitors and analyses steering, speed and body movement 500 times per second to ensure the electronic dampers are providing the optimum suspension in all conditions. As expected, the more powerful models are the most enjoyable to drive. The 2.2 diesel feels a little sluggish pulling such a big car but it deals well with motorway journeys by being refined, quiet and efficient. The 3.0-litre diesel offers a useful amount more power and torque and the six cylinder unit suits the personality of the car much better. Unfortunately though, it's not only quite a bit less efficient than the smaller engine, it's less efficient than most rivals. The king of the range, perhaps unsurprisingly, is the XFR-S. It may be mad in saloon form, but there's something appealingly crazy about a big, practical, luxury estate with a 550PS supercharged 5.0-litre V8. The engine is only one part of a very exciting package though; bigger, more powerful brakes feature, along with uprated suspension. The exterior looks aggressive and wild, yet its lines are still sleek and elegant and even today, the design looks fresh - especially from the front. Inside, the luxury and comfort remain and are now accompanied by a firmer, sportier ride, an aggressive, if not particularly loud exhaust noise and an entirely new sensation of speed. 0-62mph takes as little as 4.6sec and the XFR-S will top out at an insane 186mph. The 5.0-litre unit is starting to feel a little long in the tooth as rivals downsize and opt for turbocharging, but it still packs as strong a punch as any rival and never leaves you wanting for performance. 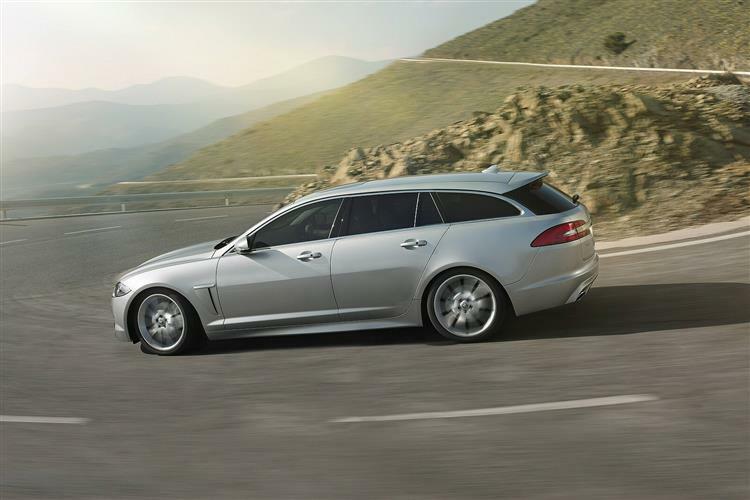 If you're in the market for a used luxury estate and would rather forgo a few litres of space for elegant, sporty looks and a fantastic ride and handling balance, the first generation XF Sportbrake could be the car for you. It's perhaps a more individual choice than the Germans and the reliability issues are something to keep in mind, but it will perform every bit as well as its rivals in everyday driving, will put a smile on your face and has great residuals. Overall, an impressive all-round machine that has a broader focus than some rivals and definite appeal as a used buy.